There are a few reasons usually put forward as to why Google Glass wasn’t a commercial success, such as the conspicuousness of the device on a wearer’s face, the narrow viewing angle, and the fact it didn’t have many functions. Now, a patent application by Samsung could fix all these issues while massively improving the wearable AR experience: ‘smart’ contact lenses. First spotted by SamMobile, the patent was originally filed in South Korea two years ago. It describes how the augmented reality lenses would feature a built-in camera, motion sensors, transmitter, and display unit. The device would be powered by a wireless connection to a wearer’s smartphone, with the user’s eye movements and blinks used to send commands to the paired device. The patent actually mentions Google Glass’ less than perfect viewing angles and image quality. 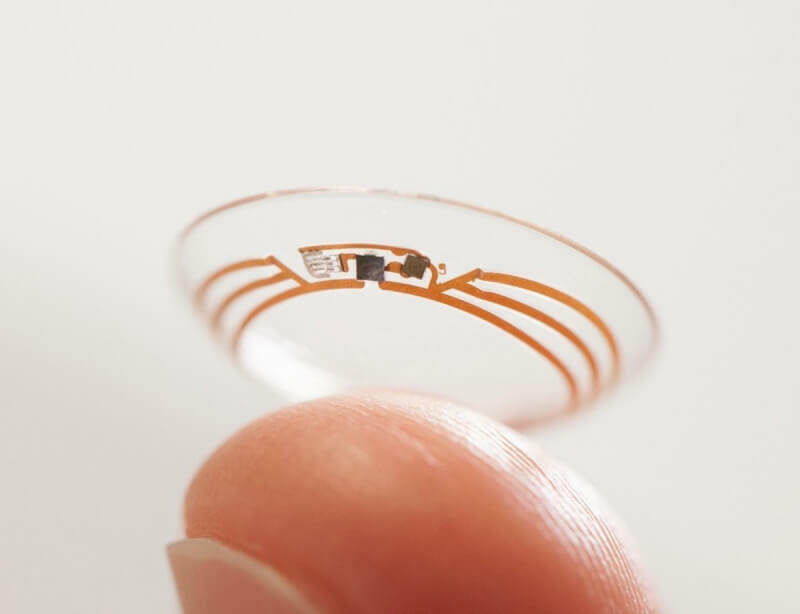 It aims to fix these by embedding a minuscule OLED display between the contact lens layers. The blueprints say that some circuits will be visible in the contact lenses, but, as they’ll be placed around the edges, users won’t be able to see them when wearing a pair. It could also mean that anyone who uses them will look like some kind of cyborg. Coincidentally, the year Samsung filed the patent, 2014, was also the year that Google filed a patent application with the USPTO for embedding micro cameras into contact lenses. The search engine giant is also trialing smart contact lenses that analyze tear fluid to detect if a diabetic’s blood glucose levels have fallen dangerously low. As with every patent, there’s no guarantee that Samsung’s smart lenses will ever become a reality. The fact that there are conflicting reports over whether or not the patent has been granted doesn’t bode well, but that’s not to say the technology won’t arrive at some point in the next few years, either from Samsung or Google.